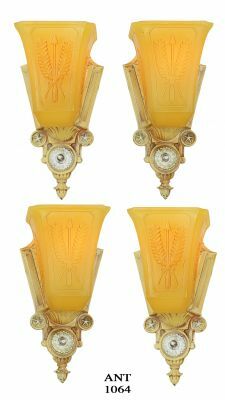 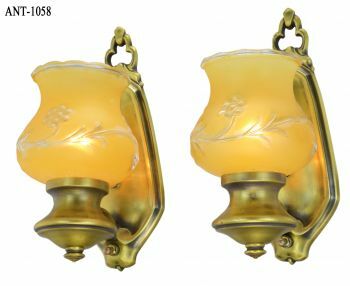 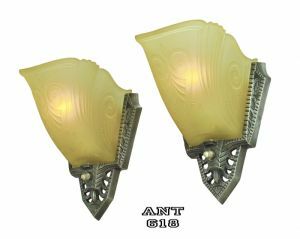 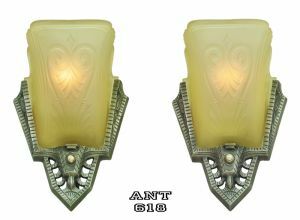 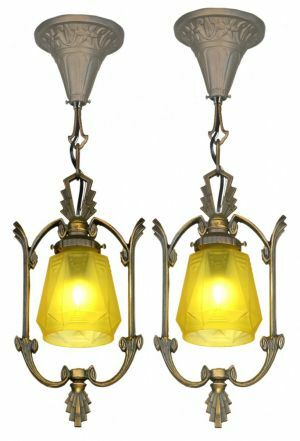 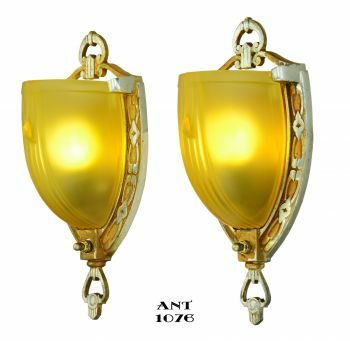 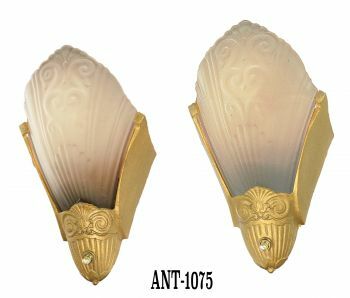 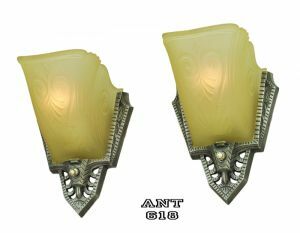 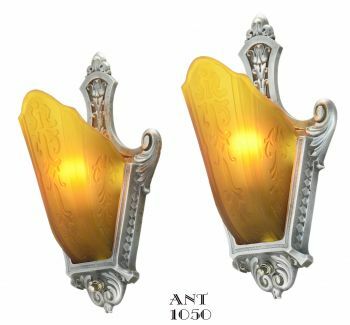 This pair of sconces came from the Artisan Line that Gill Glass and Fixture Company of Philadelphia produced during the 1930s. This Artisan Line was in their catalog #23 which showed a total of ONLY three items in the line. 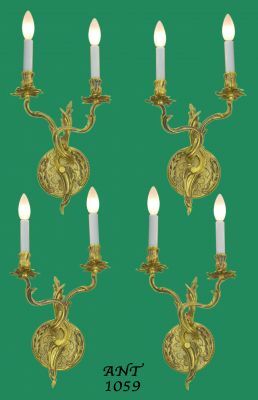 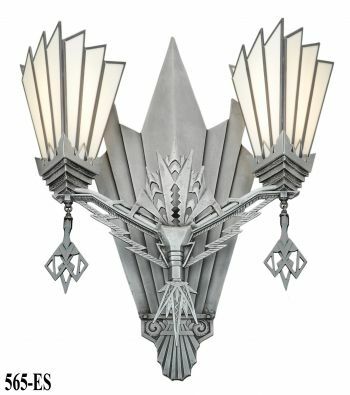 There were two five-light chandeliers (only difference was the stems for long and short hanging), and two three-light chandeliers (again, only difference was the stems for long and short hanging), and these neat sconces. 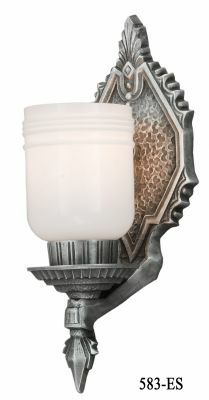 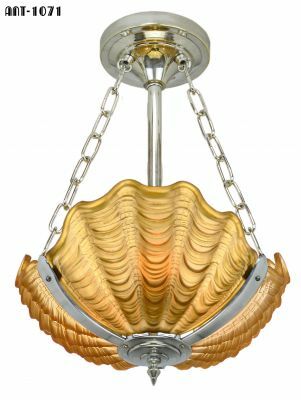 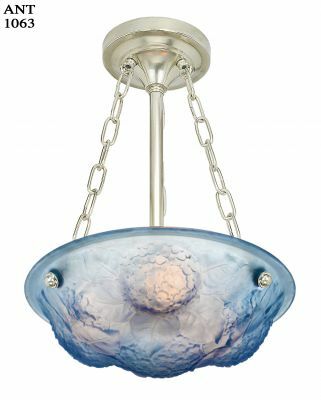 The metal body is Aluminum, and finished in an Art Deco pewter finish. 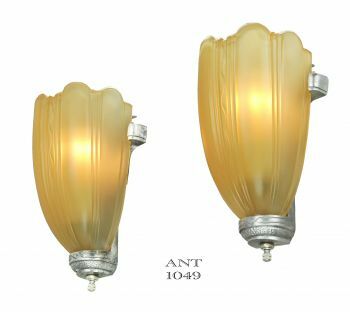 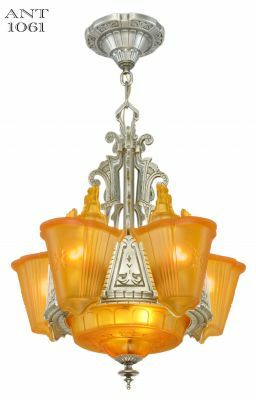 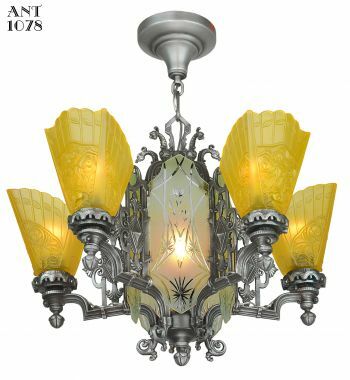 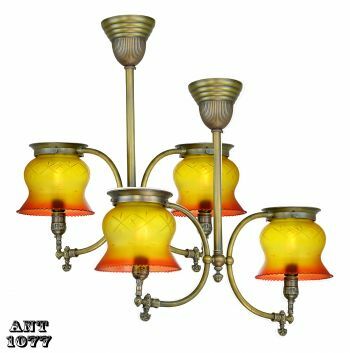 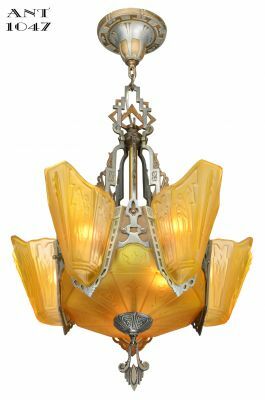 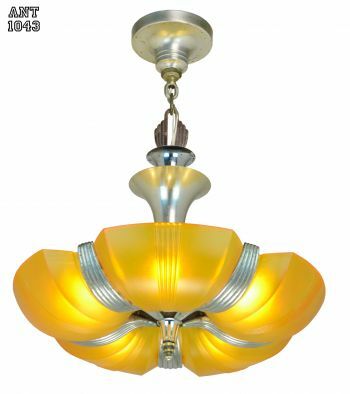 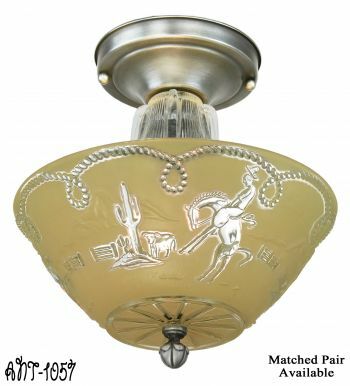 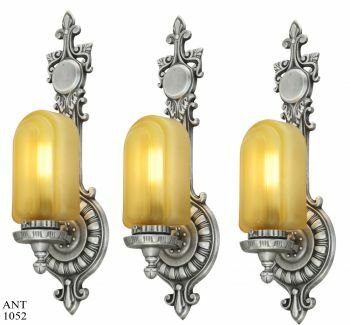 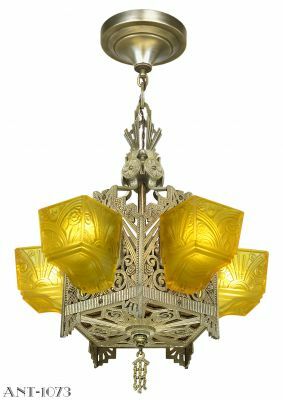 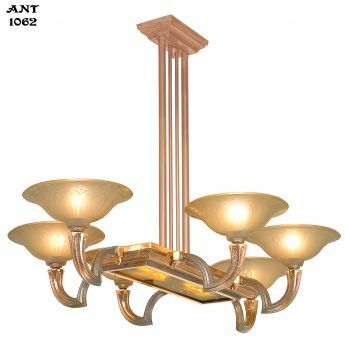 The shades are a very light amber, and big for the Art Deco period. 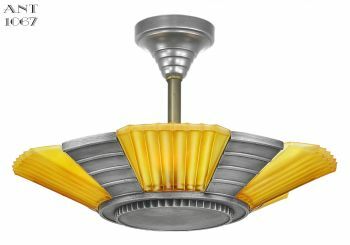 Projection: 6 ¼" from the wall into the room. 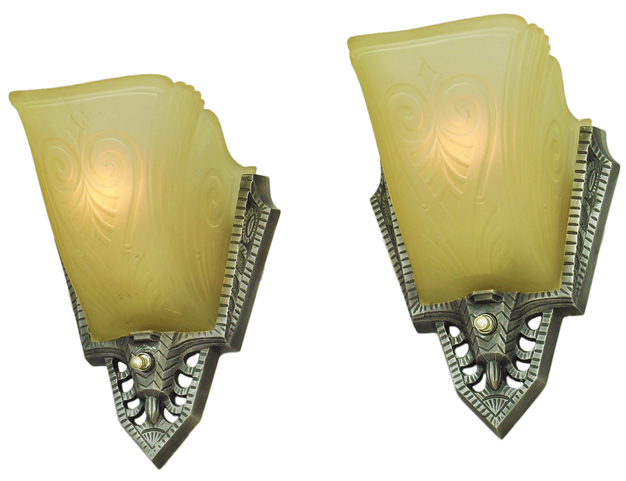 Totally re-wired in our UL shop with new sockets and new rotary switches. 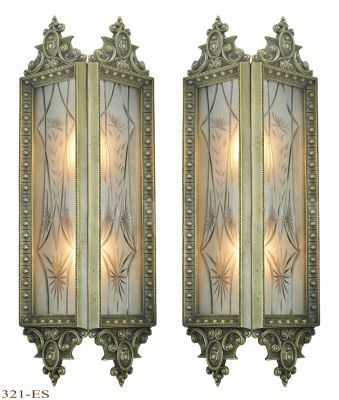 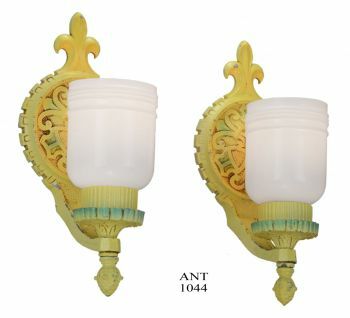 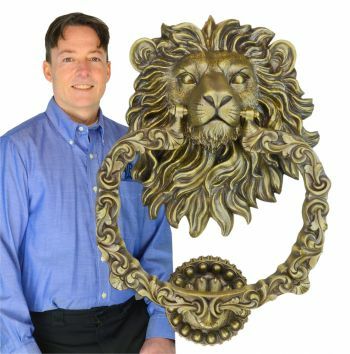 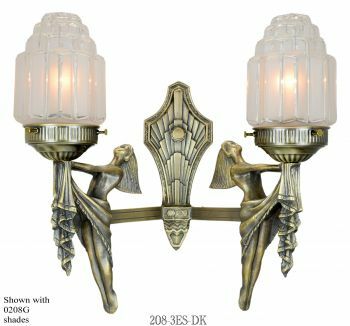 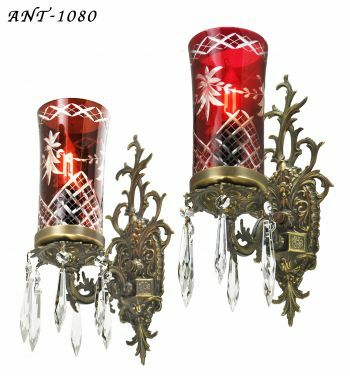 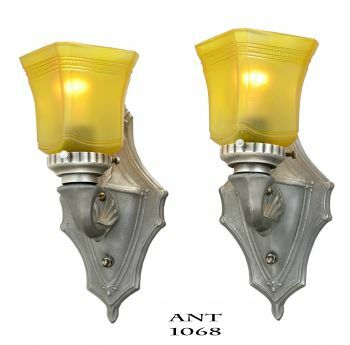 $850.00 for this pair of UL rewired antique wall sconces...plus shipping.